It’s going to be hot! To begin, let’s dive into a bit of musical history: DEATHGAZE was never quite as popular as lynch., even though it was founded by the ex-vocalist, Hazuki. This did not prevent the band from pleasing listeners with their heavy and powerful music. Rich metal, dark energy, and fast transitions – ranging from harsh and extreme vocals to a clear voice – DEATHGAZE’s sound was (and still is) recognizable from the very first riffs. 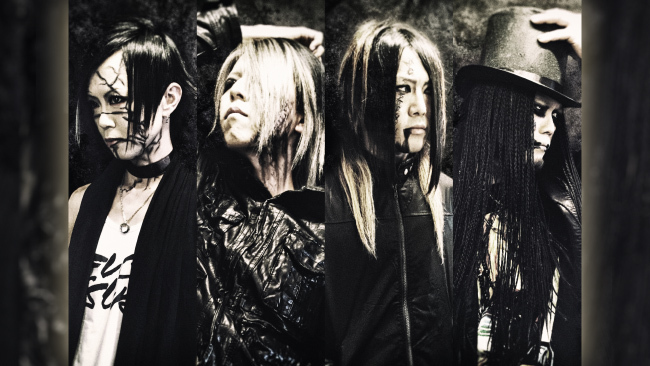 After the band started their hiatus, this exact style moved first to AI’s solo project, and then to the new band named DARRELL, created by the former leader of DEATHGAZE. It took about a year for DARRELL to move from a debut single to their first full-fledged album, called DARXNESS, and this work is a total blast. From the very beginning, long-time fans can easily recognize the familiar atmosphere. GARBAGE FREAKis not just a powerful instrumental intro – at only a minute and a half long, this is one of the most memorable tracks of the entire album. Simple, explosive guitar riffs constantly changing places with the speedy drumming, quickly warms the listener up for the next twelve pieces. The intense opening lives up to expectations, and after the musical introduction the album becomes a lot more aggressive.